With a romance that clicks with the reader as quickly as Garret fell for Andi's blue-green eyes, Betting on Cinderella is a fun, sweet, modern retelling of the classic fairy tale. Weddings do seem like such a romantic place to find your true love. Garrett sees Andi and it's like he's found his whole world...he just doesn't know her name yet. When she disappears, it's like something physically has been taken from him, and he doesn't even have a glass slipper to try and track her down with. Andi is devoted to her godmother. It was a pleasure to see them interact with each other, and how much Andi worried and cared about her godmother's wellbeing. I liked the play on the classic story of "Godmother looking after Cinderella" was a bit turned on its head here. It was very believable, as I feel like most of us have a parent or grandparent that could easily fall into the problem of a gambling addiction. The stepmother and stepsisters too created interesting conflicts that Andi had to deal with. Garrett and Andi are both very likable people. Their romance was believable and fun. Despite the love at first sight - on Garrett's part at least - there was a lot of tension and chemistry to the whole "will-they, won't they?" tug of emotions. I liked that Andi had her own sense of self and worked finance rather than being a waitress or card-girl in the casino. It gave her just a touch more depth than a typical romance book. The plot was generally predictable, as we all tend to be familiar with the Cinderella story, but there was one larger twist that surprised me and made the story all the better for it. Overall, this was an enjoyable read! I really only have one caveat about reading it, which was that I had not read the first book in the series and it was difficult to get onboard from the start. This story started with a lot of references to the last book and short summary explanations of who is who without really folding it into the context of the new book. I found myself having to re-read the first chapter or so over and over again just to catch the one or two sentences that tell me who a character was, or what they did in the prior book so I could start to assemble the cast in my mind. You are able to do so eventually, but especially at the start, there is a lot of names thrown around and references to the past book, making the plot difficult to track if you don't already know the characters. I feel you should start out with Cinderella Busted if you like the sound of this series instead of starting with Betting on Cinderella. Luckily, we're giving away three below! His lips silenced her retort. His kiss gentled, though she could feel him tremble with anger. His palms cradled her cheeks, and his tongue teased at her lower lip, urging her to open for him. God forgive her, she did. She could not resist this man. She had missed Garrett—his smile, his twinkling eyes, his glorious scent, and especially his taste. She knuckled her fingers into the curls at his nape to hold him in the kiss. His tongue caressed hers with a slow, sensual rhythm that turned her knees to water. She had dreamed of this kiss, night after night, in the month he was gone. Had he kissed Irene like this? The dark thought chilled like a bucket of cold water. She tried to wrestle free, but he held her fast. “The only one I need is you,” he whispered against her lips. Her heart desperately wanted to believe him, her body wanted to sink back into another nerve-tingling kiss, and her too-wary head conjured up an image of him leaving with Irene. Just last night. The hurt and heartache roared back to life all over again. Petie spent a large part of her career working at Walt Disney World -- "The Most Magical Place on Earth" -- where she enjoyed working in the land of fairy tales by day and creating her own romantic fairy tales by night, including her new series, The Cinderella Romances. She eventually said goodbye to her "day" job to write her stories full-time. 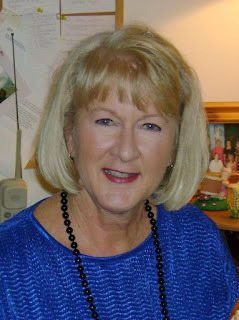 These days Petie spends her time writing sequels to her regency time-travel series, Lords in Time, and her cozy-mystery-with-elements-of-romantic-suspense series, the Mystery Angel Romances. 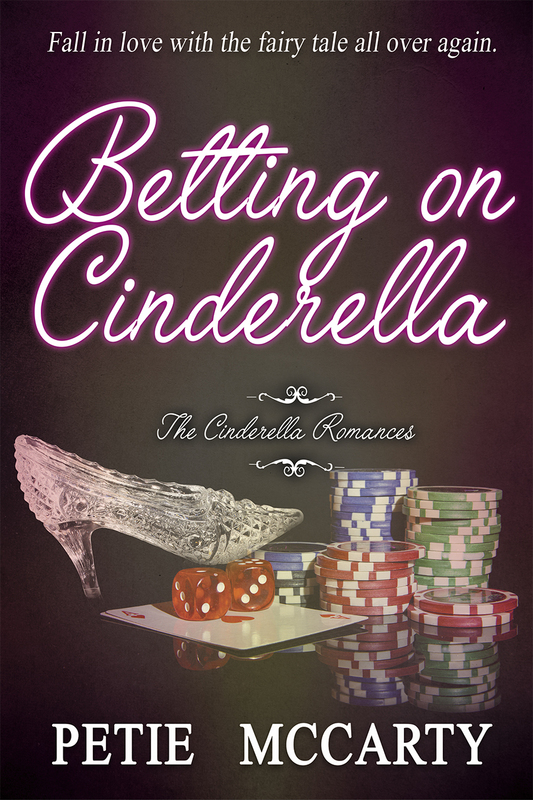 Petie will be awarding 3 eBook copies of Cinderella Busted (Book 1 in the series!) to three randomly drawn winners via rafflecopter during the tour. Thank you very much for taking valuable time to read and review my story!